Recognized as the birthplace of North Carolina traditional pottery, the Seagrove area started with the small Seagrove community in the heart of the Piedmont, located about 40 miles south of Greensboro, and has expanded to cover parts of four neighboring counties. The fine quality of the red and gray clay found in the region first attracted potters in the late 18th century. Since then, pottery making has continued uninterrupted here for more than 200 years, with some potters representing the eighth and ninth generations of NC potter families. 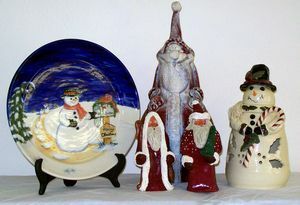 Each year, tens of thousands of visitors flock to the twenty-mile Seagrove area to buy original creations from artists in more than ninety potteries. On most weekdays, the Seagrove area potters are busy working in their studios in a way similar to that of their predecessors. Six times a year, the community as a collective holds special events to promote their tradition and showcase their work. Individual potteries also hold their own events at various times. Give yourself at least an entire day (or longer) to explore the potteries in the area. Many of the artists are happy to discuss their work, if they aren't busy at the wheel. Since most potters have their work spaces behind their showrooms, it’s good to practice a bit of etiquette while there: stay in the showroom area and ask permission before going beyond that point. Also, ask permission before taking photographs. 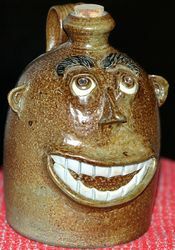 Handle all pottery with care, and lift large or heavy pieces at their bottom rather than by their handles. Pick up a list of potters at the NC Museum of Traditional Pottery, located at 127 E. Main Street in Seagrove. Also, be sure to stop by The North Carolina Pottery Center while you’re in town (the center is closed on Sundays). There are B&B’s in the area, however most accommodations can be easily found in Asheboro and Greensboro.